Enjoy Sardinia all year round! Sea and suntan lovers will enjoy Sardinia any time between April and October; June, July and August are the hottest months with an average temperature of 30° Celsius, although the coastal areas are often swept by a cool breeze. 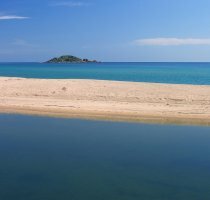 Hotels in Sardinia Any time of the year is enjoyable for golfers, hikers, climbers and those willing to explore the mountainous area of the island. 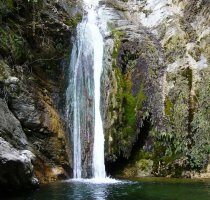 Walking, hiking, climbing and horse-riding itineraries are mainly available in the east central area (Nuoro and Ogliastra) offering breathtaking sceneries across steep cliffs and forests, while the opposite west central side (Oristano) affords a great view over the wet lagoon areas and green plains where horse-riding is the finest open-air sports activity. The pristine water of the sea and gorgeous white sandy beaches, stretching along kilometres of untouched landscape, are among the most beautiful in the whole Mediterranean. The fragmented and irregular coastline is sometimes dominated by overhanging high cliffs or it simply unfolds onto long stretched beaches with the finest white sand. Too many and too different to mention, Sardinian beaches strike for their sand dunes like in Costa Verde, Chia, S. Teodoro or for the long white strand like in Villasimius, Santa Margherita di Pula, Stintino, Alghero and Cala Luna. A holiday in Costa Smeralda or in the Maddalena Archipelago will show you beautiful small, hidden coves surrounded by orange granite rocks standing over the clear water. A few mountain and marine areas are under environmental protection supporting both the reintroduction and the breeding of species which have already become rare. Hotels in Sardinia In most cases the mountain parks are provided with walking itineraries. In the huge protected area of Monte Limbara (province of Olbia-Tempio) mouflons (bighorn sheep) and deers have been reintroduced. In central Sardinia, the basaltic plateau of the Giara di Gesturi, wild and uncontaminated, is homeland to some rare animals, the most popular of which is the cavallino della Giara (Giara small horse). In Cagliari, the main town, the Molentargius lagoon and wet area serves as a habitat for about 180 bird species including the sultan chickens and the pink flamingos. Among the marine areas, of great interest are those minor islands and inlets located on the north eastern and western side of the island, namely Asinara and La Maddalena. These granite islands have both remarkable naturalistic and marine conditions whose environmental importance has not been affected by the human presence over the centuries.